YONKERS—The Yonkers Industrial Development Agency reports it has approved more than $13.6 million in incentives for three major development projects in the city. The IDA’s Board of Directors approved at its meeting last Friday resolutions of intent to provide financial incentives for two mixed-use developments and one strictly residential project totaling more than $391 million in investment. The agency also granted final approval for an $11.7-million project called The Mill. The approvals come at a time when the city is at odds with the county’s union building trades. The Yonkers IDA adopted a PILOT program that required project labor agreements with the Building and Construction Trades Council of Westchester & Putnam Counties. on projects of $5 million or more in December 2017 and the program expired and was not renewed effective Dec. 19, 2018. The program had also established an apprenticeship program jointly run by the city and the Building and Construction Trades Council. In response, more than 100 members of the building trades staged a protest at Yonkers City Hall last month against the decision by the Yonkers Industrial Development Agency and its chairman Yonkers Mayor Mike Spano not to renew the workforce rules requirement with the YIDA. Edward Doyle, president of the Building and Construction Trades Council of Westchester & Putnam Counties, denied the mayor’s charges and said the building trades offered a 20% discount on all project work before the Yonkers IDA that was to be subject to a Project Labor Agreement. However, he says that developers decided to delay their applications to the IDA for assistance until after the PILOT program expired. He noted that under mayors (Angelo) Martinelli, (John) Spencer and (Phil) Amicone administrations all major IDA projects were performed under Project Labor Agreements. Doyle notes a host of significant projects, like the multifamily waterfront projects developed by Collins Enterprises, the Ridge Hill shopping center and Stew Leonard’s, for example, were all undertaken under PLAs. He charges that the projects approved by the IDA this month will likely be built by non-union, non-local workers. The building trades are engaged in a campaign to have all area IDAs enact stronger workforce requirements. The building trades are currently in negotiations with Westchester County government to strengthen workforce requirements that could include the possible mandate for a PLA on projects that receive incentives from the Westchester County IDA. 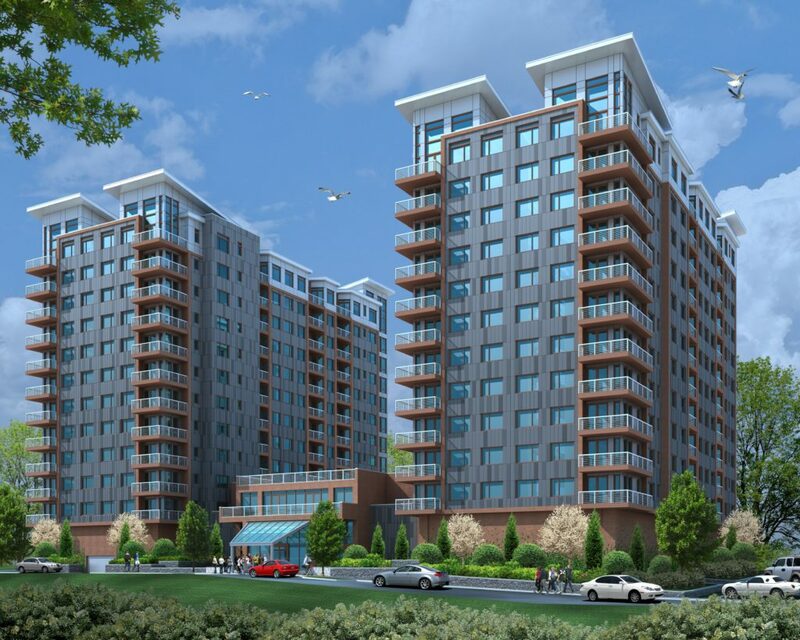 The Yonkers IDA approved incentives for two projects to be developed in the Ludlow section of Yonkers by Ginsburg Development Companies of Valhalla. GDC’s Ludlow Point, a $199.7-million investment, will be the centerpiece development of the new Ludlow Station Area Master Plan to be created by the City of Yonkers. Located at 150 Downing St., the project will feature 520 residential units in two 10-story and two 11-story towers. The unit mix will be comprised of 80 studios, 320 one-bedrooms and 120 two-bedroom apartments. Building amenities will include a club lounge, fitness center, swimming pool, business center, bike racks and tenant storage lockers. A total of 10% of the units (52) are to be affordable under the Yonkers Affordable Housing Ordinance. The Ludlow Street frontage will feature 10,330 square feet of retail space to be marketed to restaurant and neighborhood retailers, the IDA reports. Ludlow Point will feature a new Promenade Park overlooking the Hudson River and the cliffs of the Palisades that will connect to O’Boyle Park, which will be refurbished by GDC. Ludlow Point will represent the largest private investment made in Southwest Yonkers in decades, according to the IDA, and is estimated to create approximately 600 construction jobs and 14 permanent jobs. IDA financial incentives for the project include $4,752,563 in sales tax exemptions and $2,520,000 in mortgage recording tax exemptions. The other GDC project, 70 Pier St., is a $14.2-million mixed-use building to be constructed on the south side of Abe Cohen Plaza at the Ludlow Metro-North Train Station. The project will consist of a four-story building containing 36 residential rental apartments with a unit mix of six studios, 18 one-bedrooms and 12 two-bedroom units. Under the requirements of the Yonkers Affordable Housing Ordinance, one unit will be offered as affordable. In addition to the building’s lobby, the ground floor will include 3,125 square feet of neighborhood retail and indoor parking for 35 cars. Building amenities will include a lobby club lounge and a roof deck. The City of Yonkers and GDC will jointly apply for New York State grants to renovate Abe Cohen Plaza concurrently with the development of 70 Pier St., which is expected to create approximately 60 construction jobs and four permanent jobs. IDA financial incentives for the project include $310,625 in sales tax exemptions and $180,000 in mortgage recording tax exemptions. 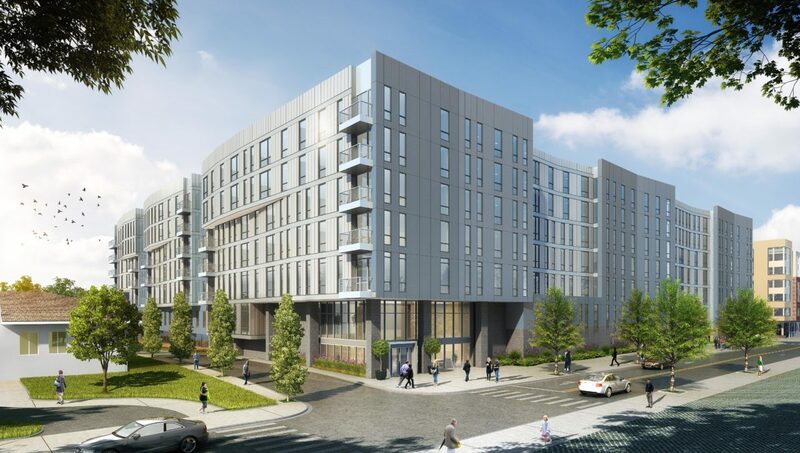 The third project that was granted initial approval by the Yonkers IDA is 57 Alexander St., a $177.3-million residential project being developed by New York City-based Rose Associates. The proposed development calls for 440 apartments in a seven-story building with 443 parking spaces. The project would also include 25,000 square feet of new waterfront open space including a waterfront walkway that will provide access to the Hudson River waterfront. The open space would have a walking promenade with seating and landscaping. The IDA estimates that the project will create approximately 631 construction jobs and 10 full time jobs. IDA financial incentives for the project include $3,807,375 in sales tax exemptions and $2,073,600 in mortgage recording tax exemptions. The three projects approved by the Yonkers IDA have yet to receive approvals from the city. Ludlow Point and 70 Pier Street will be part of a year-long Master Planning process with the city to develop a new plan for the entire Ludlow Station area, the IDA states in an announcement. The Yonkers IDA also granted final approval for an $11.7-million project to be built by Momentum Realty Acquisitions to convert a light-industrial building at 222 and 252C Lake St. into an office and entertainment complex called The Mill. The 55,000-square-foot building, which had been damaged by a fire in 2017, is to be completely renovated in two phases. 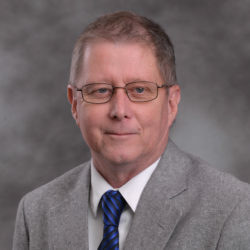 IDA financial incentives for the $11.7 million project include $240,513 in sales tax exemptions and $137,147 in mortgage recording tax exemptions. The project is being done as part of the Yonkers Opportunity Zone.